Sure we all love huge AAA titles with high FPS and great graphics. But sometimes an indie game comes by to give a surprise and steals our hearts away. 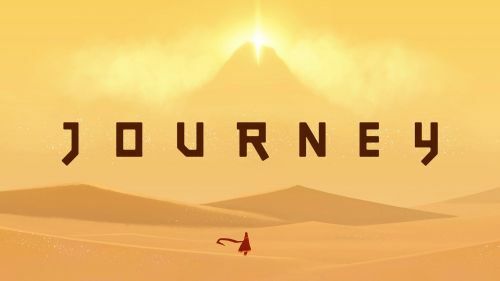 Such is the PlayStation's exclusive title Journey. This was a rare gem which grabbed the attention of players and won 8 awards in 2012 for its innovative gameplay and storytelling. Now PC gamers can enjoy this masterpiece as it was recently announced for Windows. The game is set in a beautiful unending desert where you play as a lone wander dressed in a flowing red robe. The goal is to reach and climb the huge mysterious peak far off in the distance, and in the way, you encounter ruins of an ancient civilization where you learn its secrets and the mystery of the huge mountain. These ruins have a lot of puzzles and provide you a clue to progress to the next area. you can also encounter other players and team up with them to solve the mystery. The game devoid of dialogue conveys its story through visuals entirely and surprisingly does it very well. the puzzles are quite challenging and this wordless story sure manages to keep you glued to the screen. Regardless of your gaming preferences, The Journey managed to make a huge impact with its impeccable visual style and a melancholic feel. The announcement for the game was made during a commercial of Epic Game stores where popular titles like World War Z, Satisfactory where shown. But the fans were surprised as Journey was announced among all these games, now a former PlayStation exclusive was also shown. The Journey will hit the Epic Stores around late 2019 and will hopefully make to other PC platforms like Steam and GOG later after the release.